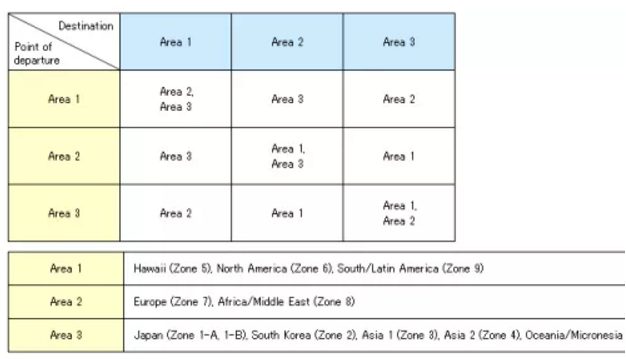 Yesterday, I wrote about the much-needed improvement in the ANA award ticket booking — the ability to search and book awards to multiple zones. It didn’t use to be the case, as all you could do was search and book a ticket to one zone. Anything else — you would have to call ANA. This development made me remember what Welltraveledmile once said about the possible award that would combine Ocenia and Asia. When one window closes, another opens. I’m not getting philosophical but did you notice that while you can’t transit via Europe en route to Asia, you are allowed transit through Australia! So I did some digging on the improved ANA site, and what do you know — you are indeed! As you can see, you could be able to visit Sydney, Auckland and Tokyo for 75,000 miles — the price of visiting Sydney and Auckland. 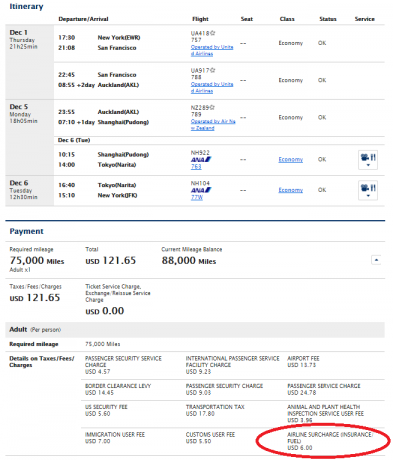 Of course, you would pay $346 in fuel surcharges, which — if you know me — you know I’m not a fan of. So the first thing I wanted to check was if we could do better. And, indeed we can, if you are as flexible on the destinations as I am. 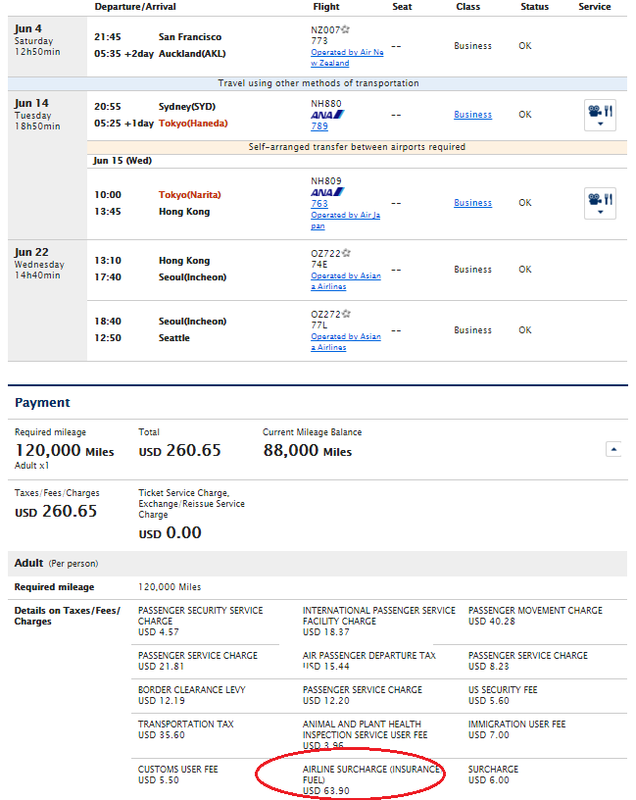 If you don’t mind substituting Tokyo for Hong Kong, you will only pay $112 for the YQ scamcharge, but transiting via Beijing adds about $40 to the taxes. Still, you’ll save almost $200. 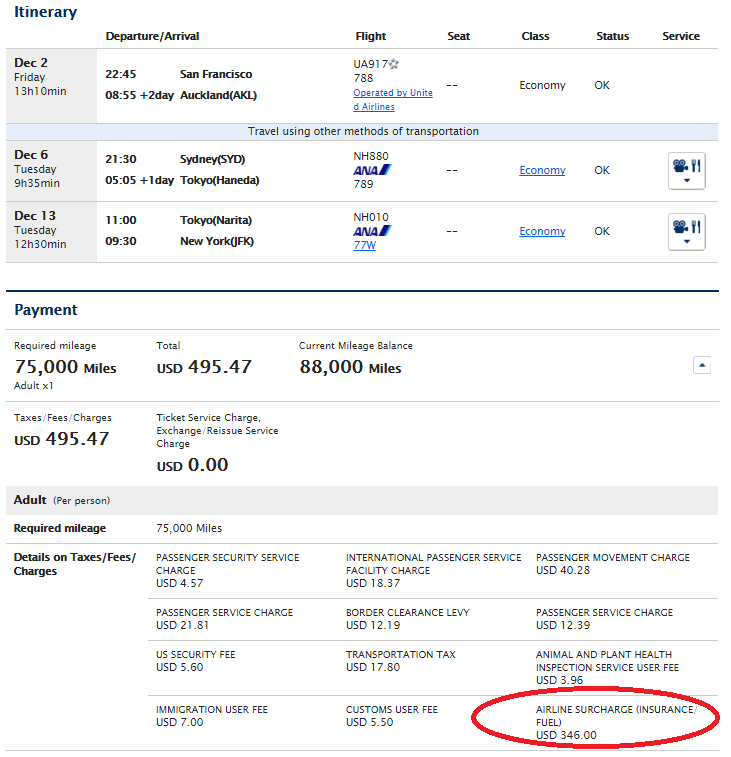 Routing your flight back home via Seoul will shaves $50 off the YQ scamcharge and $40 off the cost of ticket. But what you do want to visit Japan from Oceania without paying through your nose? But Andy, you might say, it’s a long way to fly in coach. 13 hours from the East Coast to Auckland, 10 hours each between Sydney and Tokyo and Tokyo and the East Coast. How about business or first? Well, I thought, you’d never ask. Here is the ANA award chart on partner airlines. 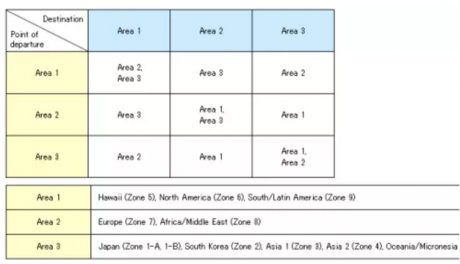 And here are the zones. 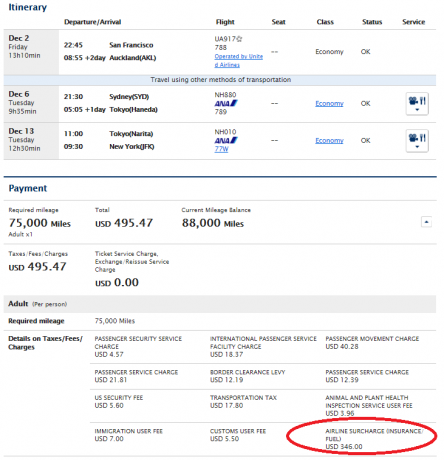 Did you notice that while a flight to Asia 2 costs you 80,000 miles in economy and 136,000 miles in business, a flight to Oceania goes for 75,000 miles in economy and 120 in business? So who, do you think, will win for a flight that would combine both? You get to visit 4 cities: Auckland, Sydney, Bangkok and Hong Kong. You get 1 stopover and 2 open jaws (if you need them). UPDATE: As Dino pointed out in his comment, there are actually 3 open jaws in this flight, not 2, thanks! You get to ride in business all the way. 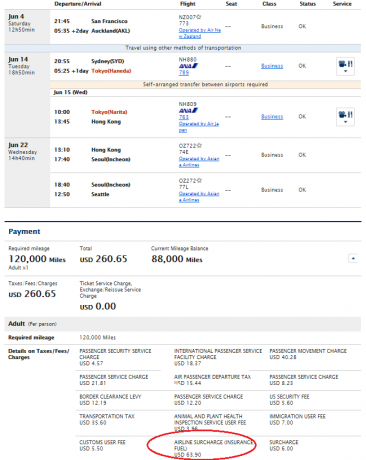 You pay 16,000 fewer miles than if you fly to Bangkok only. 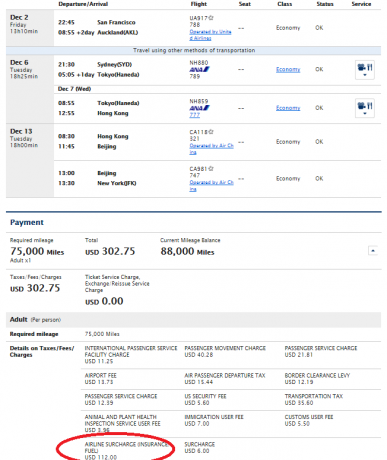 All for just $228 in fuel surcharges — even I would be OK with that. 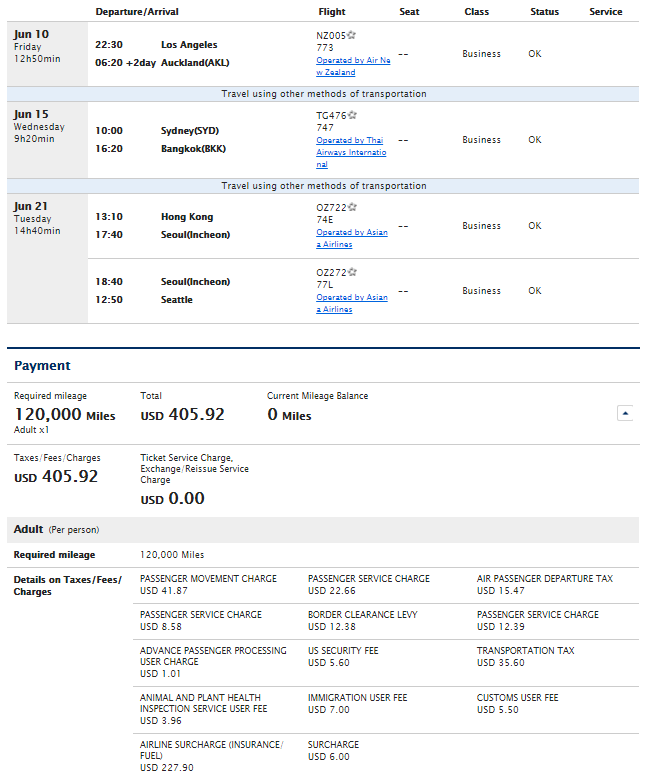 I’m sure you could do slightly better in terms of fuel surcharges if you get to BKK on Asiana rather than Thai, but Thai flies non-stop from Sydney. And I’m sure you could further pimp your ride, adding some exotic routes and what’s not, but this here is the basics. Just make sure to fly back home from Hong Kong, China, or the Philippines if you want to keep these damn scamcharges to minimum. Getting between Auckland and Sydney is easy as pie. This segment is served by LAN on its way to from Santiago. You know what it means, right? Lie-flat seats and international service, that’s what! 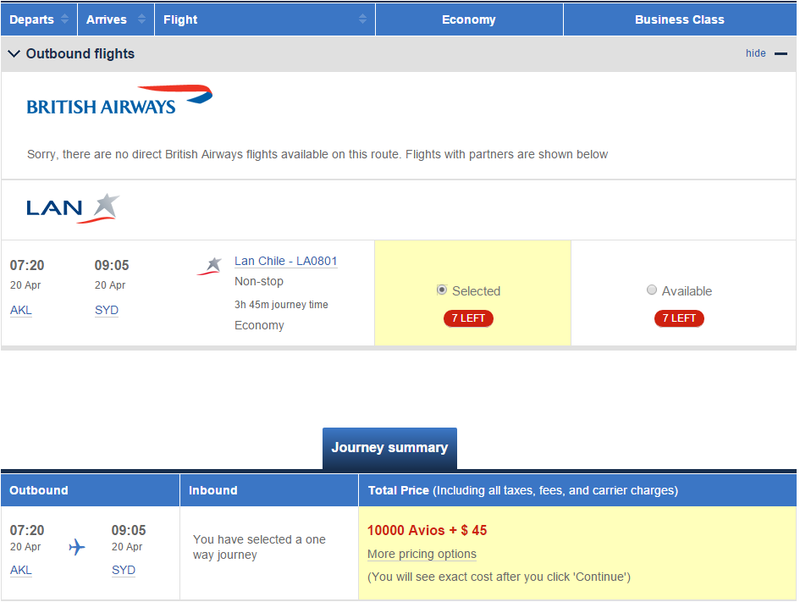 While it’s just a 4-hour flight, it’s worth 20,000 Avios in business, IMHO, otherwise it’s 10K in economy. The BKK-HKG segment is served by Cathay Pacific. 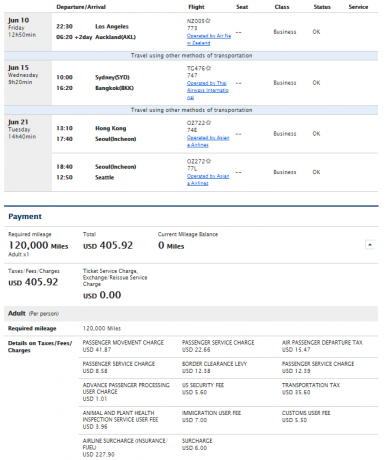 It’s a 3-hour flight — 15,000 in business, 7,500 in economy. If you are concerned with Air New Zealand business class availability, I feel your pain. But unlike the past, at least there is some now. 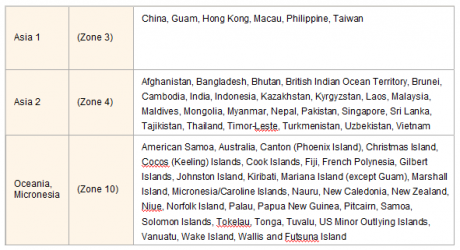 In addition, there are more non-stop departure opportunities than LA and more airlines than Air New Zealand that can work for you. Air New Zealand flies to Auckland from Los Angeles, San Francisco, Vancouver, Houston and Honolulu (untapped opportunities!). United will begin flights to Auckland from San Francisco after June 3. Air Canada from Vancouver and Toronto. 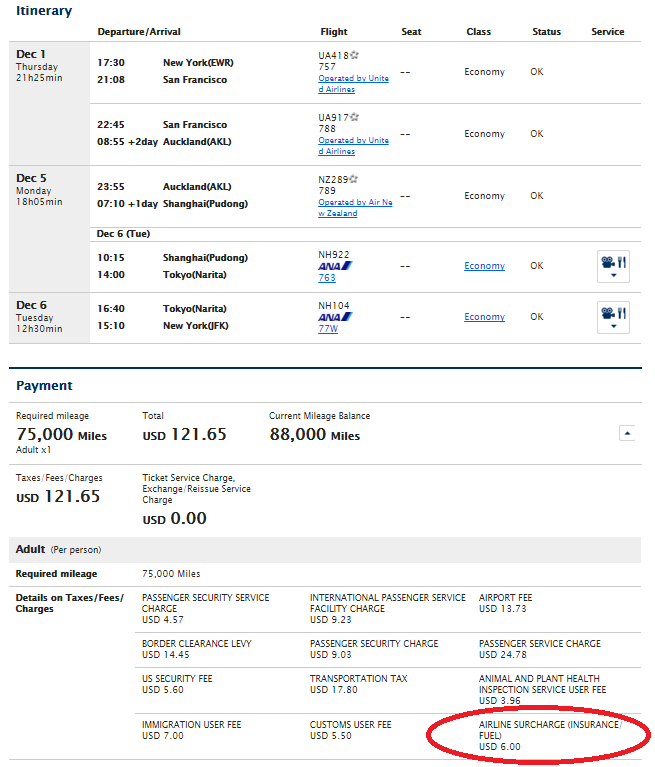 And of course, there are other routing gems that make me believe that ANA Mileage Club might be the best frequent flyer program in the world! This Is Why the New ANA Devaluation Is a Big Deal!